It’s another Friday and another movie weekend ahead. While the usual suspects hold their spots, this week presents several new movies all of which opening tonight. Overall it doesn’t look like an eye poppingly great lineup, but who knows there might be some films that truly amaze. Let’s see what looks like worth seeing. The Internship is about two watch salesmen who lose their job and go out to be interns for Google. That’s the premise. It’s a buddy comedy starring Vince Vaughn—who produced it—and Owen Wilson. THE John Goodman is also in the movie in a supporting role of some sort. Buddy films are a dime a dozen and this one hasn’t been well received. The main complaint has been in the story and its pacing. It’s likely to do well in the box office because people love these kinds of films, but there doesn’t seem to be anything there that you probably haven’t seen in this particular genre before. Much Ado About Nothing is a Joss Whedon indie film which premiered last year and will have a limited U.S premiere tonight. It’s based on the Shakespeare play of the same name and has received mostly favorable reviews. There’s really nothing to compare it to, but if you’re a fan of Shakespeare and want a more contemporary telling of Much Ado About Nothing or would like to check out something different from what Whedon normally does, you’ll want to check this out. For the full national release, you’ll have to wait until June 21, but New York City, Los Angeles, and San Francisco will all see the film in theaters tonight. The Purge is a film about a mostly peaceful world where for one day the Purge happens over a 12 hour period. This purge allows for all crime to be legal for that period with no law enforcement checking criminals during that day or afterwards. It’s carte blanche for murder and robbery and probably meant as a way to blow off steam, kill the drive to commit crimes for the year, and “rid” society of those deemed too poor or weak to defend themselves. It stars Ethan Hawke and Lena Headey. Personally, this seems like the most interesting film to me even though it’s gotten mixed reactions. The main black mark most have given it is that it flirts with mixing political commentary with violence and goes way down the scale towards the violence end. As far as new action-oriented thrillers or horror films, this is you only pick this week. Let’s see what else comes out this week. 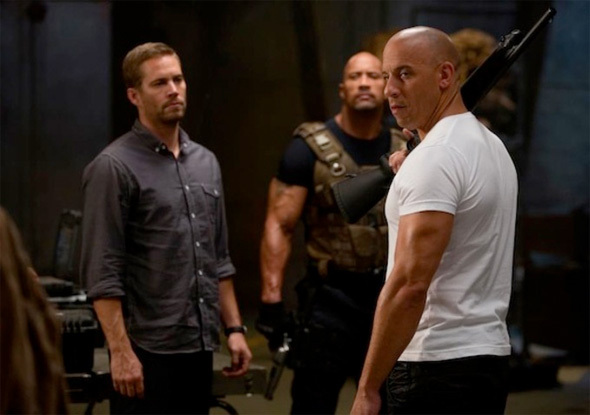 The Box Office Top 10 remains largely the same this week with Fast & Furious 6 and Star Trek Into Darkness still in the top five. Still within the top ten overall are Iron Man 3, The Great Gatsby, and Mud. Now You See Me, After Earth, Epic, and The Hangover Part III have all found their way into the top ten. Let’s see what’s hot in the Top 10. Swift’s Picks: As far as new films go, only The Purge is something I’d recommend off the top of my head. It might not be the prettiest or most artsy film, but it simply comes off as the most interesting of the six. Outside of that, stick with the tried and true blockbusters that you know will deliver on your money and won’t seem like too much of a gamble. Also American Mary for horror fans out there. I will say there isn’t much that could be considered family movies I’d suggest. Iron Man 3, Epic, The Internship maybe, Tiger Eyes on rating alone, Star Trek Into Darkness, and After Earth. That’s really all you have there. If you’re looking for something truly huge and worth going to see you’ll want to wait until next week for Man of Steel and the week after for World War Z. For now, find yourself a good film and enjoy the movie weekend!